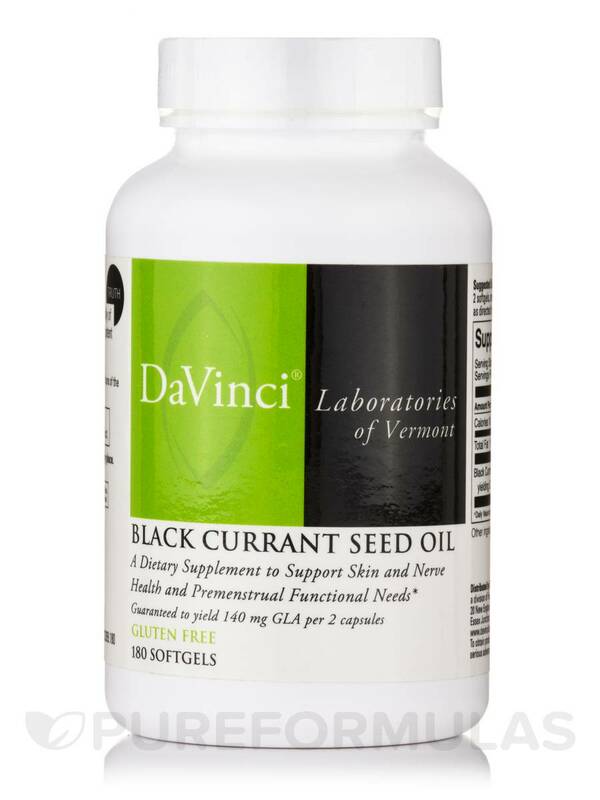 Black Currant Seed Oil is a nutritional supplement manufactured by DaVinci Laboratories that helps relieve the symptoms of menopause and premenstrual syndrome. 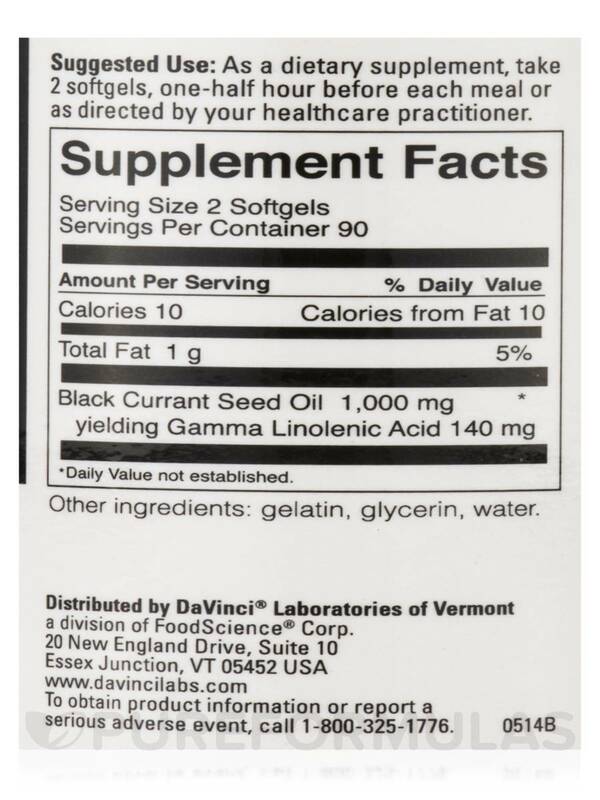 Black Currant Seed Oil may be an excellent source of Gamma-Linoleic Acid (GLA). This chemical is an Omega-6 fatty acid found in vegetable oils. The body converts it to substances that can help reduce inflammation and cell growth. Some studies claim that it also helps to quell the production of prostaglandin E2‚ which harms the immune system as we age. Black Currant Seed Oil has the potential to alleviate hair‚ skin‚ and nail problems. 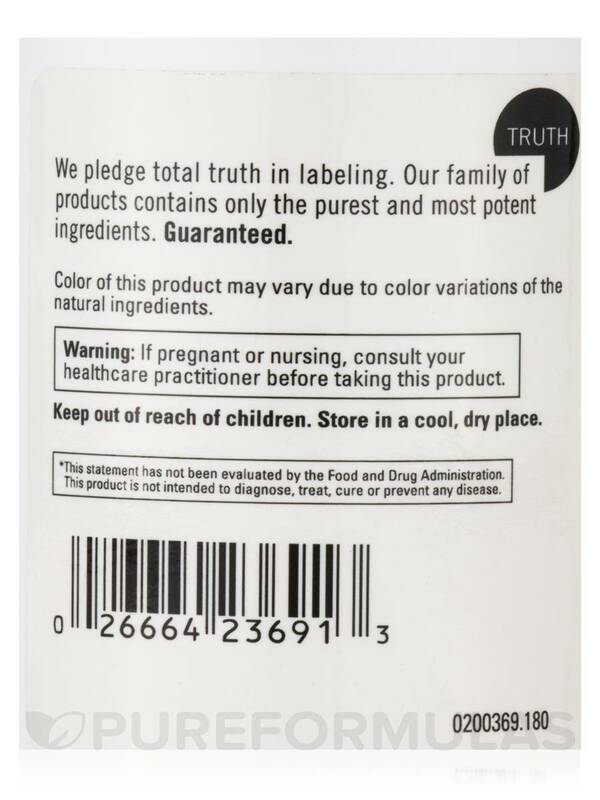 Black Currant Seed Oil possibly supports women’s health. 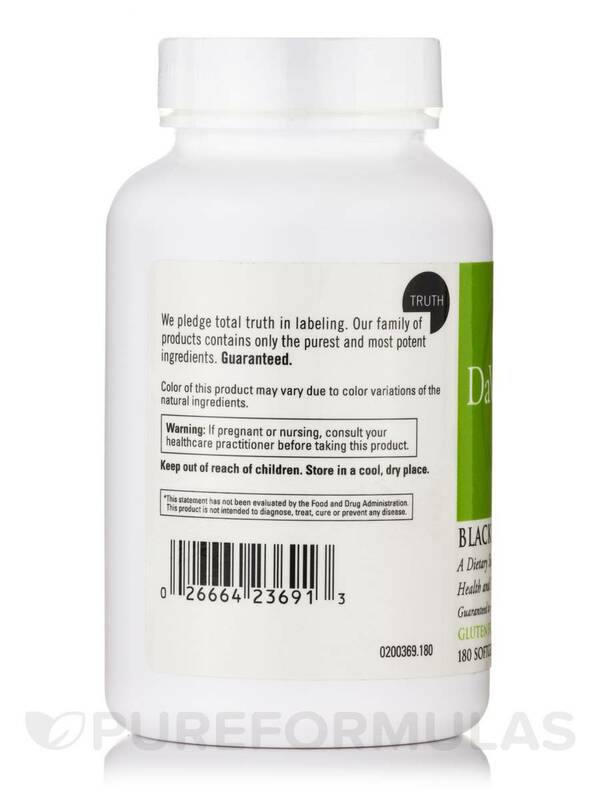 PureFormulas has all the DaVinci Labs products like Black Currant Seed Oil softgels for the benefit of your health needs! 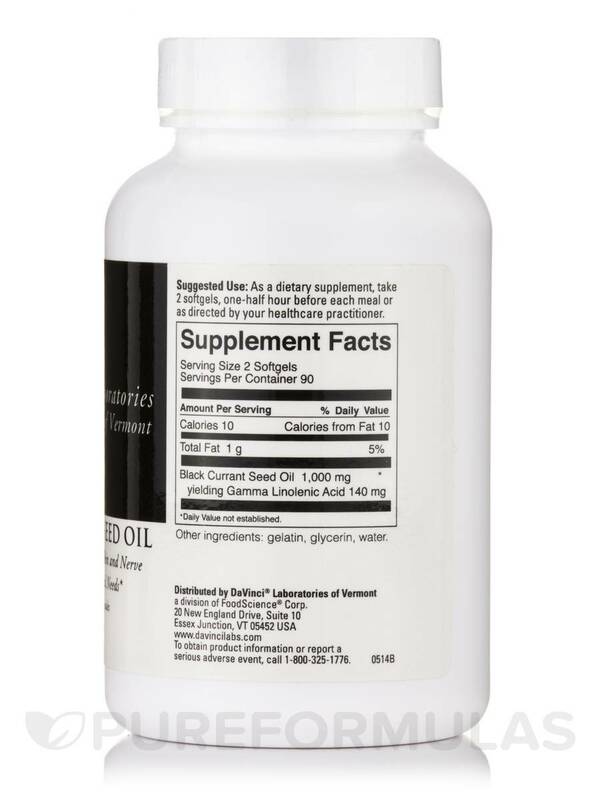 As a dietary supplement‚ take 2 softgels‚ one half hour before each meal or as directed by your health care practitioner.